When it sticks to rhymes and rage, this biopic has power. But the film could have used more than its whiff of radical revolution, which we get in scenes where the band is hassled by cops for simply standing on the corner. Invading a mainstream that would soon be dominated by Vanilla Ice, N.W.A. 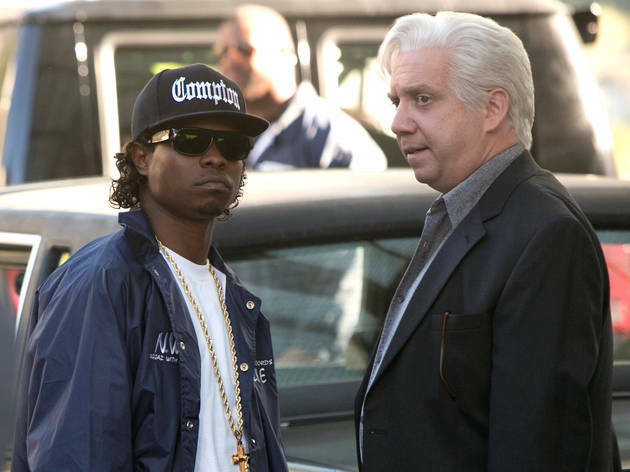 came across like terrorists, and Straight Outta Compton largely forgets to include that larger cultural revulsion, apart from a couple of snobby Peter Jennings clips. Meanwhile, the group’s Jewish manager (Paul Giamatti) goes from friend to enemy, the city of Los Angeles explodes during the 1992 Rodney King riots, and we’re meant to be dramatically satisfied by…contract disputes? There’s way too much inside-baseball money talk here, when a simpler plot—one about a band whose apocalyptic vision comes to pass—would have been plenty. Named after the album and song of the same name, this movie follows the early lives of the key members of the monumental rap act, N.W.A. Unfortunately, I felt, the move provides too much after story including Suge Knight and Death Row. I was hoping to learn more about the band coming together and putting out such an influential album. Their subsequent tour was glossed over as well and it would have been interesting how the shows went over and what the response was. Dr. Dre smoking "chronic" and then being inspired by it you saw coming a mile away. When Snoop Dogg comes in and hears Dre's song, he immediately raps over it with the familiar opening to "Nuthin' But a G-Thing". It could not have been that easy. Reminiscent of when Ray Manzarek, in the Doors movie, wrote the opening to "Light My Fire" in like 4 seconds. I'd say it was done for brevity, but since the movie is almost 2.5 hours long, I don' think so. 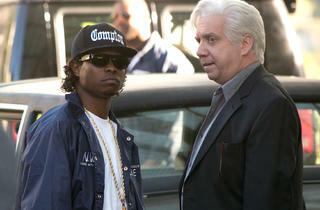 Anyhow, the movie was a decent history of the band N.W.A and their impact on music.